Junior Helen Alemu died suddenly on the last day of the school’s spring break. Many students and teachers were deeply saddened when they learned the news soon after returning to school. 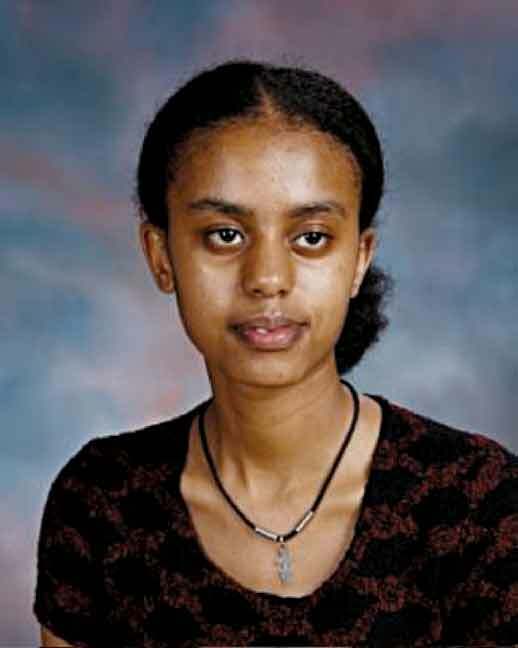 Helen Alemu was born in Ethiopia, Addis Ababa; she was a nineteen- year-old-girl. Helen was in a large family. She had two elder brothers and four sisters in this country. In Ethiopia she had four elder sisters. Three of them are working and independent except one of her sisters. She was the youngest child in her family. 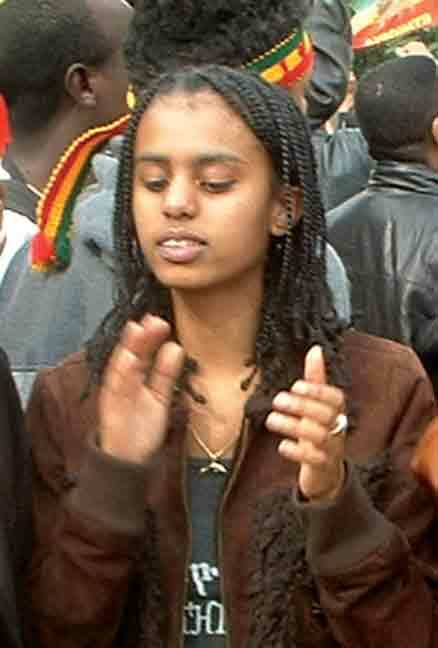 As her brother, Tekabe Alemu, told the members of the Ethiopian Club, Helen had a special love for her father. Two years ago her father was very sick and was staying in the hospital for a long time. But Helen didn’t know about her father’s sickness. Her family told her that her father was traveling. Her family had a reason for doing this because they knew that if they let her see him while he was in the hospital, some bad thing was going to happen to her. Unfortunately her father died while he was in the hospital and that day was the saddest moment for her family because they couldn’t hide the truth from Helen anymore. After that moment Helen’s life changed from a life with a hopeful future to life with a miserable future because of her father’s death. She was depressed and found this world tasteless, valueless, and tiresome. After Helen’s father’s death, everything in the family changed. Her brothers Tekabe Alemu and Zion Alemu had to take the family responsibility. But to pay the funeral expenses and support their families was very difficult for them. Helen’s family had a lot of expenses when they sent her father’s dead body to Ethiopia. As Tekabe said, it cost $10,000 and again for her mother’s transportation around $1,000. Unfortunately, Tekabe’s and Zion’s small annual total income made it very hard for them to pay these expenses. Helen’s mother had a habit to feed Helen always after she took a shower. But that night Helen took a long silent time in the bathroom. Her mother told her brother Tekabe to check her out to see what was going on. He knocked on the door, but he couldn’t get any response from Helen. With a big concern and fear Tekabe and her mother broke the bathroom door. But the saddest thing was seeing Helen stretched out silently in the bathroom. Her brother and mother couldn’t dare to see her, and they just screamed and fell on the floor. Her families weren’t sure if she was dead in the bathroom, but they have said that she was alive until she was taken to the hospital. It appeared that she never fell in the bathroom or had any scratch on her body. But as Tekabe told us it looked like she was sleeping in the bathroom silently. She used to take a medicine that was recommended by the doctor even when she was in Ethiopia. As Tekabe told us, she had seizures, but that wouldn’t happen frequently, and it was amazing and unexpected for everyone. But we are still wondering what the cause of her death was. Helen’s body has been sent to Ethiopia where she has been buried. The members of the Ethiopian Club, her family, and her friends are overwhelmed with sadness. Also the family, which is still struggling to pay for bills for Helen’s father who died last year, has another very big bill to pay for Helen’s funeral. A fund has been created at Blair to help the family. Anyone who would to help can send the money to the Financial Assistant, Montgomery Blair High School, 51 University Blvd. East, Silver Spring, MD 20901. Please write “Helen Alemu Fund” on the check. Your help will be greatly appreciated. Helen was quiet, but she wasn't shy. This photo was part of a front page photo of the last issue of Silver International. It shows Helen at a demostration for Ethoipian rights in DC. Helen was a good and nice person. I hope she rests in peace and goes to heaven.